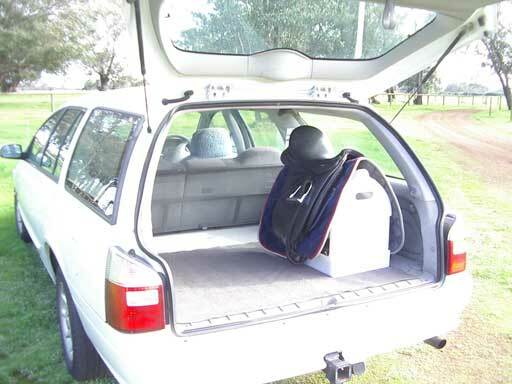 The Equimates Saddlebox is designed and made in Australia and is a handy mobile storage unit for your saddle and tack. 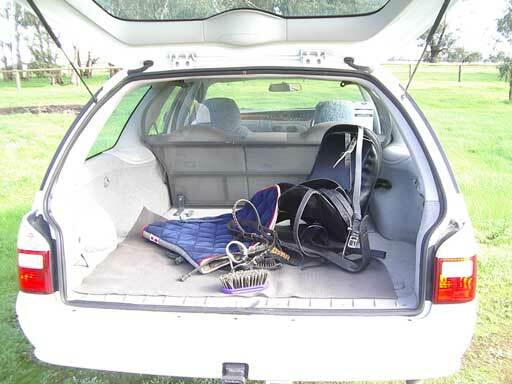 Originally made for storing your saddle in the car, it is also really handy at the stables or when you are at a show. Invented by a keen horsewoman who wanted to keep her new saddle newer for longer and to keep all her gear together. Available in both Western and English models. At Equimates our purpose is to provide you with new and innovative horse friendly products that maximise quality time with your horse. 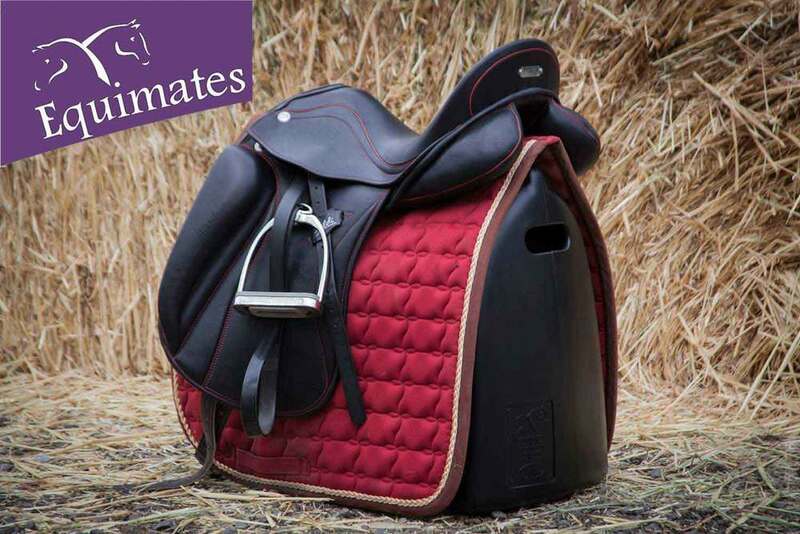 The Equimates Saddlebox is a light and durable, easy to clean mobile storage unit that suits all English-style and Western-style saddles. It supports and protects your saddle while storing all your tack and brushes. Use it in your car, at home or on location. The Saddlebox is designed and made in Western Australia and all boxes are individually numbered for your protection. Now available in Australia and overseas. An embroidered cover is included so that you can cover your saddle and keep it clean and protected while its on your Saddlebox. Attention: Do not use the Equimates saddlebox for any other purpose other than for what it is designed. Do not sit on the saddle while it is mounted on the saddlebox. Disclaimer: Equimates Pty Ltd accepts no responsibility for the intentional or unintentional misuse of its products and any resulting personal or otherwise damage. Equimates will not honour any claims above the retail price of its products or services. A full money back guarantee is offered if product fails to satisfy or is in any way found to be faulty.